A few weeks ago, the ETHS Investment & Business Club took our last field trip for the year. 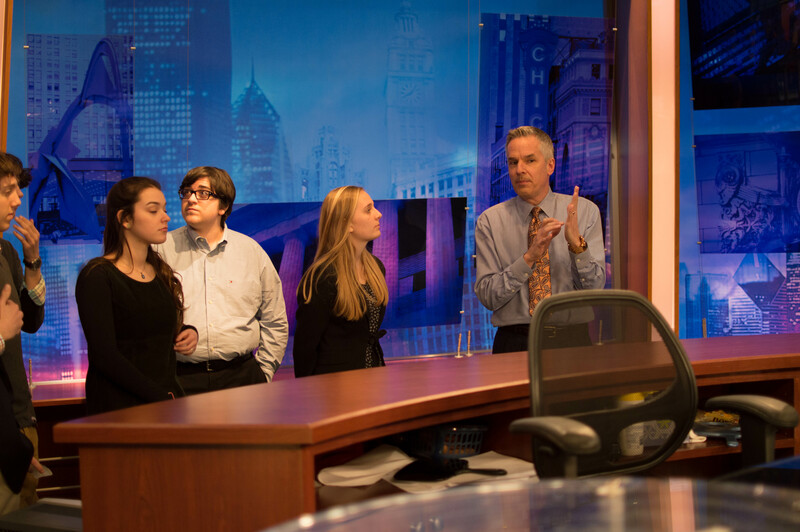 We went to the Chicago Board Options Exchange, and then to WGN Studios to meet with their Anchor, Mark Suppelsa. I have been family friends with both his children, Matt and Ava, for some time. Matt has been traveling the world, and keeps an excellent travel blog that actually inspired this blog: http://mattsuppelsa.com/. Ava is a singer/songwriter, and I highly recommend giving her a listen: http://www.reverbnation.com/avasuppelsa. Anyway, we were very excited to visit WGN. My brother and I were avid fans of the TV Show The Newsroom and the whole club was fascinated to see how the news is put together. Mr. Suppelsa met us at the door and proceeded to give us a tour of the facilities. The studio is an old Chicago Tribune storage facility that was supposed to be a temporary facility. In the newsroom, Mr. Suppelsa explained that people work in different groups, some listening to police scanners and radios, others writing stories and scripts. 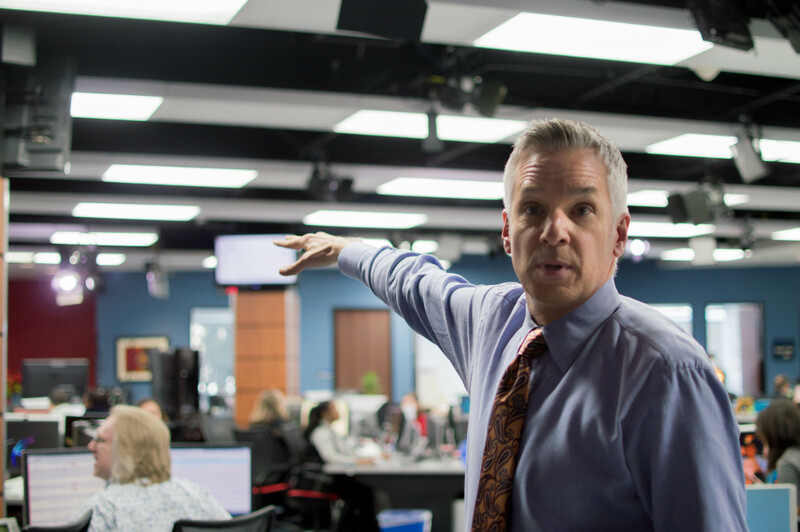 Finally, producers decide which stories are put into the newscasts and how they are ordered. Mr. Suppelsa told us that sometimes discussions can become very heated over which stories to broadcast. There is also the ability to broadcast live from the newsroom, providing another venue which reporters can use to share their stories. Next stop was the studio, where Mr. Suppelsa showed us how they used teleprompters alongside tablets. Given the anchors are sitting at the desk for two hours in the evening, they have the ability to use email and do research with their tablets. There are only three cameras in the studio which move robotically. It was then time for questions. I asked Mr. Suppelsa what he thought about Brian Williams, the anchor of NBC’s Nightly News. It was revealed that he exaggerated stories about his involvement reporting on the Iraq War. Mr. Williams stated that the helicopter he was traveling in was shot at, although the story was later found to be a fabrication. 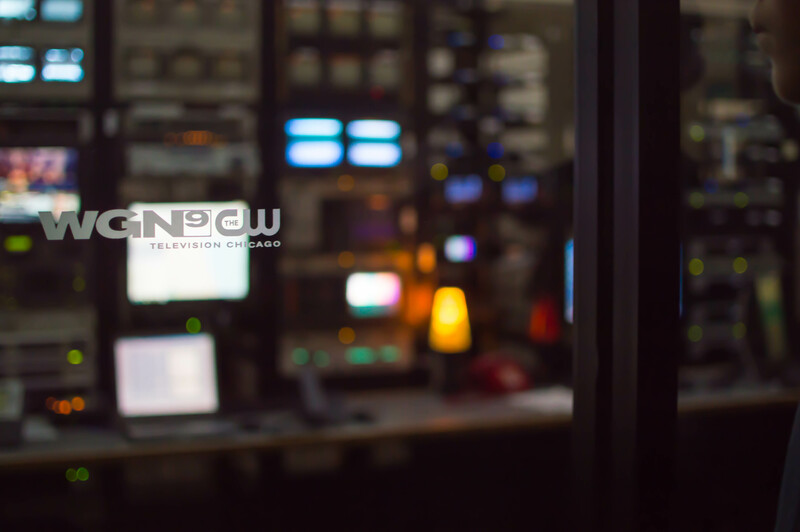 We discussed the type of stories that new channels such as WGN normally cover. Mr. Suppelsa stated that we now live in a society with cell phones, computers, and the continuous news cycle. For local news channels, it is hard to grab people’s attention. The current struggle is that the younger generations tend to not watch broadcast news at all. As a journalist, Mr. Suppelsa wants to understand the meaning behind the crime: “Is it a turf war between gangs we should know about? 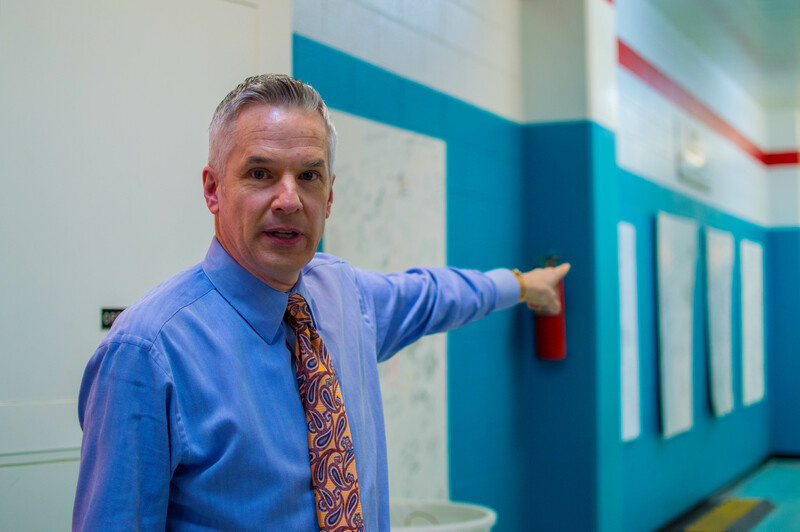 What happened in the community in the last six months?” Mr. Suppelsa feels that there should be “depth and breadth to the story.” Far too often though, the facts are given without any real meaning. Mr. Suppelsa asserts that over time, this turns off viewers. They don’t feel that it is worth spending their time to watch the same news every day. 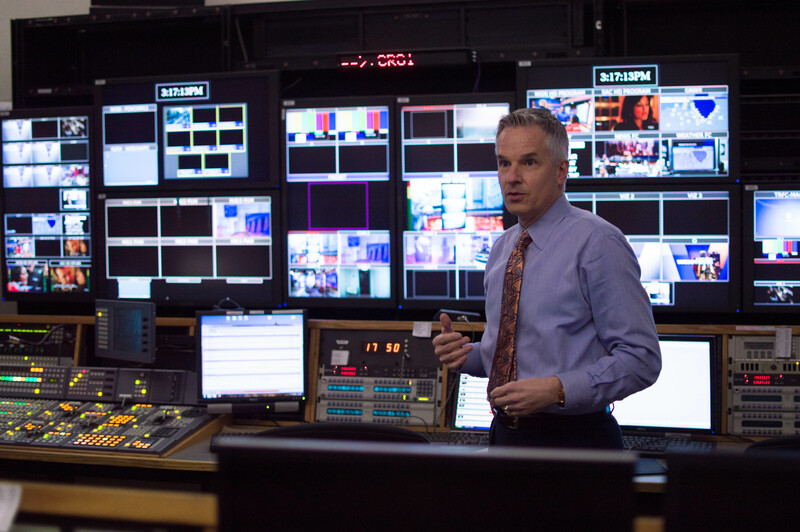 The struggle he says is that every day the producers have to fill a two hour newscast, and sometimes it can be difficult to find content. Then it was time to watch the broadcast. 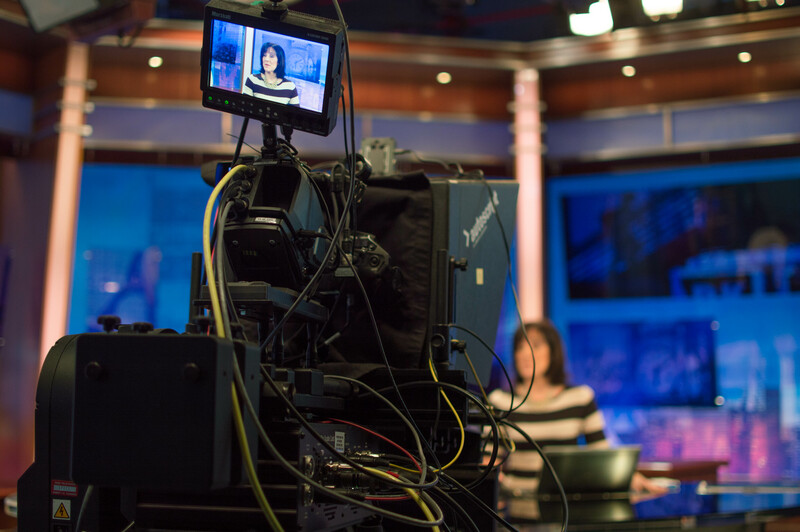 Surprisingly, the anchors speak fairly quietly since their microphones can boost their audio. The entire newscast was done calmly and efficiently, perhaps compensating for the amount of action going on in the background. The anchors had to read the teleprompter, watch the producer to see when cameras switch and listen to their headsets if there were any changes. 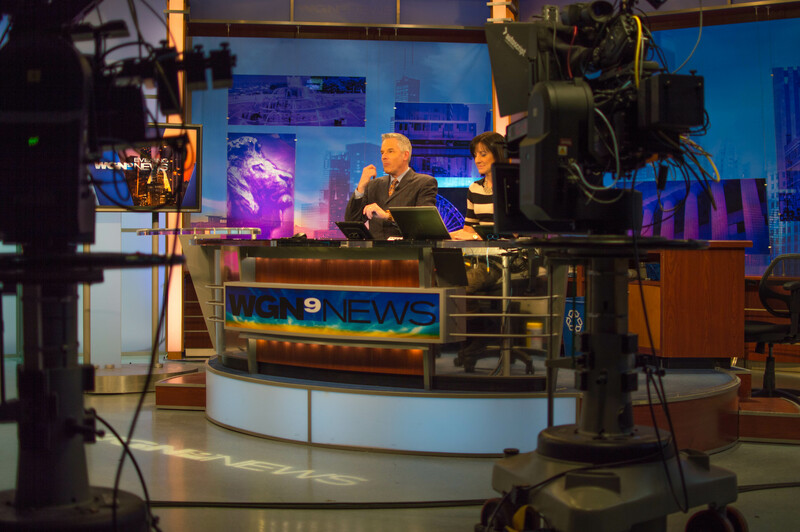 Additionally, it seemed that the anchors do not rehearse their script before the newscast. We also were given the opportunity to watch part of the newscast from the control room. From there we could see that a broadcast changes constantly: even mid-broadcast stories are moved around. While we were there, the producer received a phone call with a breaking story, which was immediately relayed to Mr. Suppelsa via his headset. Once again, despite all the action, the calm environment was maintained in the control room, perhaps attesting to the routine of the broadcast. After watching the newscast for over an hour, it was time for us to go. We all had a great time visiting WGN and learning from Mr. Suppelsa. I want to personally thank him for giving us this opportunity and excellent tour.